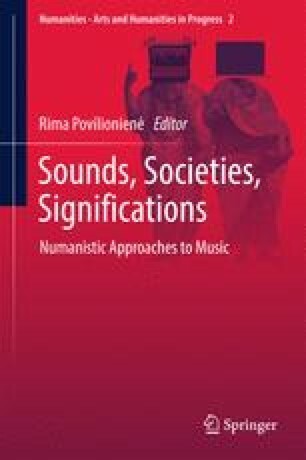 The article presents a general survey of the field of Musical Signification, as it appears in a textbook that the author has published in 2014 (Música i sentits [Music and Senses]). The idea is to discuss the way in which the book’s list of contents classifies this area of musicology, inevitably favoring some aspects over others. The book responds to frequent requests of Analysis students, who require an accessible text where all these questions are organized, summarized, explained and provided with examples, to be used in further analyses. The main concepts of scholars such as Márta Grabócz, Robert Hatten, Raymond Monelle, Philip Tagg and Eero Tarasti, have been considered and synthesized into this new text. The analytical and theoretical aspects in each chapter are presented one after the other, to allow different approaches and to promote a useful, practical reading without neglecting its musicological basis. The ultimate standpoint is that of Dario Martinelli’s Numanities, i.e. a passionate, yet thorough reflexion about the role that traditional humanities can and should play in our time. Drawing together the many aspects of musical semiotics is like rounding up a flock of particularly wayward sheep; alas, some have got away from the present shepherd (Monelle 1992: Preface). To Esti Sheinberg, in gratitude.